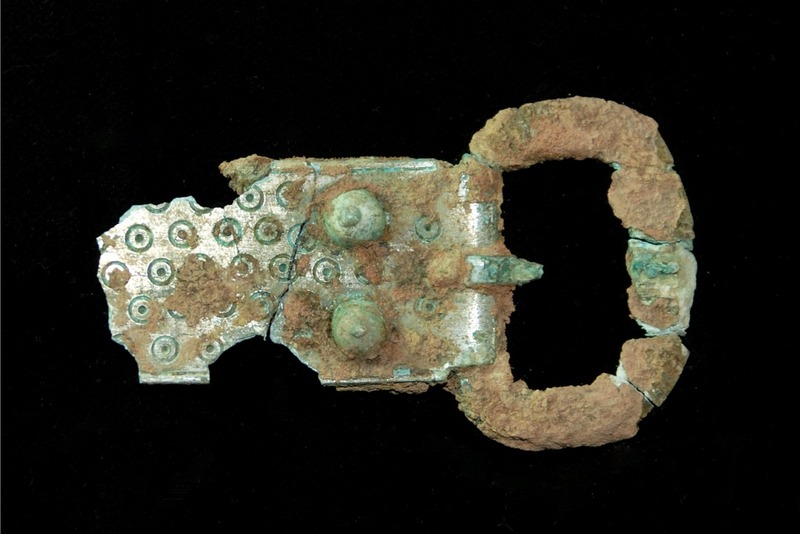 Little did Peter Adams know, when he pulled a metal object from the ground in 2004, that he had made one of the most exciting discoveries in Viking-age archaeology in England for many years. He had been metal-detecting, with permission, on farmland to the west of the quiet village of Cumwhitton in the Eden Valley and, until then, it had been a fruitless search. The object was reported to the Portable Antiquities Scheme and proved to be a brooch that was identified as a rare Viking oval brooch of ninth – or tenth – century date. These are mostly found in pairs and in a burial context. He therefore returned to the site and did, indeed, find a second brooch. 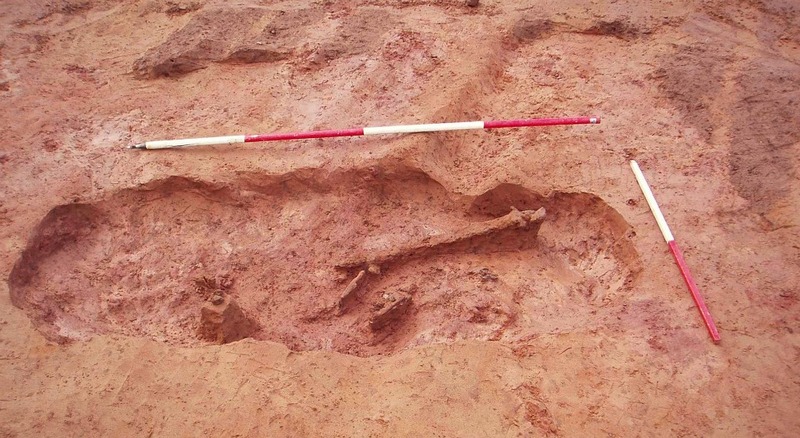 The Portable Antiquities Scheme commissioned Oxford Archaeology North to investigate the site as it was under immediate threat from plough damage. Sure enough, the grave from which the brooches had originated was located, and it also contained a bead, a silver-bound knife, a key, and the remains of an iron-bound maplewood box filled with implements associated with textiles. In the meantime, a metal-detector survey of the surrounding ploughsoil recovered several more artefacts, including part of a sword and a fragment of another oval brooch, suggesting that there may have been a cemetery on the hilltop. Given its rarity, especially in England, this site was clearly of national importance. 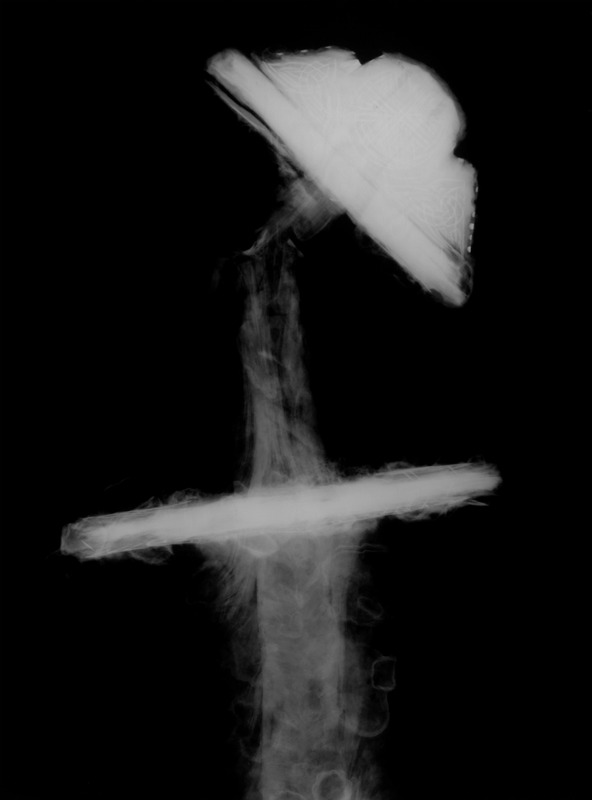 As a result, an excavation was funded by English Heritage, and a further five burials were found, in a tight arrangement about 10m from the first grave, and all dating to the early tenth century. The burials were richly furnished, with a wide range of artefacts, although these were poorly preserved. However, a combination of careful excavation, and block lifting of many finds, followed by detailed conservation and analysis, has produced a wealth of information about their original appearance, manufacture, and use. With the exception of a small piece of cranium in the first grave, almost no skeletal material survived, which meant that the gender of the deceased had to be deduced from the items placed in each grave. 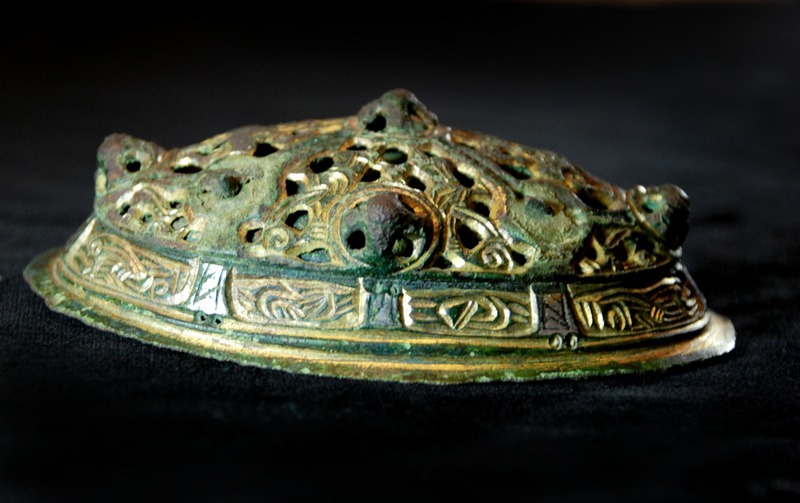 Luckily, the oval brooches in the first grave are synonymous with high-status women in Viking-age Scandinavia, making it highly likely this was the burial of a woman. Four of the other five graves contained weapons, such as swords, spearheads, an axe and a shield, as well as folding knives and spurs. All of these are commonly associated with the burials of men in this period. The sixth grave contained neither weapons nor brooches, but the composition of the grave goods strongly suggests that this was another woman. This rare opportunity to study a closely linked group of Viking burials, probably of a single family and seemingly of not more than two generations, has shed light on some of the earliest Scandinavian settlers in Cumbria. It has highlighted both the similarities and differences between the graves, which might point to some individuality in the burial rites, and the diversity of the cultural origins of the objects that furnished them. Most importantly, this site has provided a tantalising glimpse of the cultural origins, beliefs, and status of these people and how they may have fitted into the volatile political landscape of tenth-century Cumbria. Adam Parsons is a lead author and illustrator of the Cumwhitton volume and has a keen interest in both researching and recreating the early medieval period. He has worked at Oxford Archaeology for 12 years. Rachel Newman was the early medieval coordinator for the North West Regional Archaeological Research Framework. She has worked at Oxford Archaeology for over 30 years, and oversees the analysis and publication programme for the office. Yes, you’re right. I’ll see if someone in the team is able to let us know more. I thoroughly recommend purchasing this book, as it is a great piece of work by OA North on what is one of the most important Viking sites to come up in Britain over the last few years. Wow, what a fascinating find!